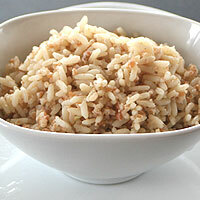 A simple recipe for a delicious pilaf. 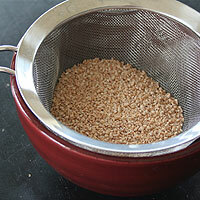 Place a fine mesh sieve over a bowl. Pour the wheat into the sieve. Shake or stir to get the flour out leaving only big pieces of wheat. Measure the wheat, onion, butter, salt, broth or water, rice, and salt. Set aside. Heat a large (2)pot over medium/high heat. 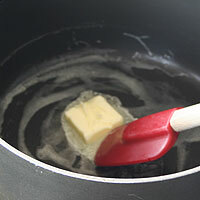 Add and melt the butter. Add the onion and cook 1-2 minutes. Add the wheat and rice. 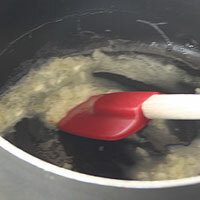 Increase heat to high and stir continuously 1-2 minutes. Be careful not to burn it. Add the broth or water. Stir only (3)once. Bring to a boil. Cover and reduce heat to (4)low. Cook 15 minutes. Turn the heat off, but the pot undisturbed. Let it sit 15 additional minutes. Remove lid and fluff rice. 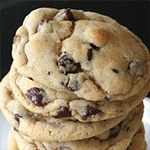 -Not sifting the coarse wheat may leave too much wheat flour making the dish a bit mushy. 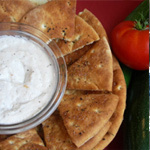 - Be careful not to burn the onion, rice or wheat. -If you substitute full sodium broth or stock, or use boullion, don't add the full amount of kosher salt, or it will be way too salty. 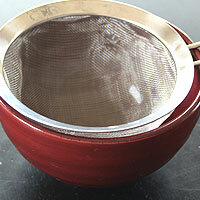 Place a fine mesh sieve over a bowl. Pour the wheat into the sieve. Shake or stir to get the flour out leaving only big pieces of wheat. Mince the onion. 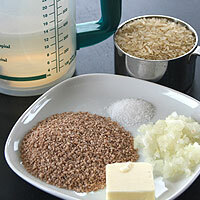 Measure the wheat, onion, butter, salt, broth or water, rice, and salt. Set aside. Heat a large (2)pot over medium/high heat. Add and melt the butter. Add the onion and cook 1-2 minutes. Add the wheat and rice. 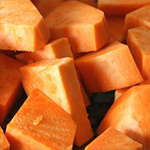 Increase heat to high and stir continuously 1-2 minutes. Be careful not to burn it. 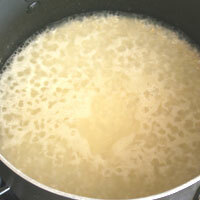 Add the broth or water. Stir only (3)once. Bring to a boil. Cover and reduce heat to (4)low. Cook 15 minutes. Turn the heat off, but the pot undisturbed. Let it sit 15 additional minutes. Remove lid and fluff rice. Serve hot. 1. 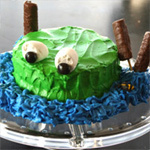 Water works just fine in this recipe. 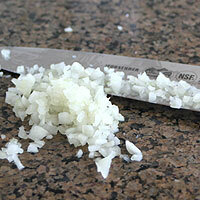 You could substitute a full salt broth or bouillion, just don't add all of the kosher salt. 2. 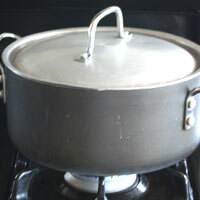 A large pot cooks rice more evenly, so it's preferable even for small quantities. 3. 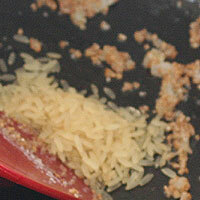 Stirring rice makes the water starchy. The rice will end up sticky. 4. My gas stove has a low setting, a 1, and a 2. I set it on 2, but you'll have to decide if that's too hot or cool for your stove. 5. Rice cooks by steam, opening the lid lets the steam out.